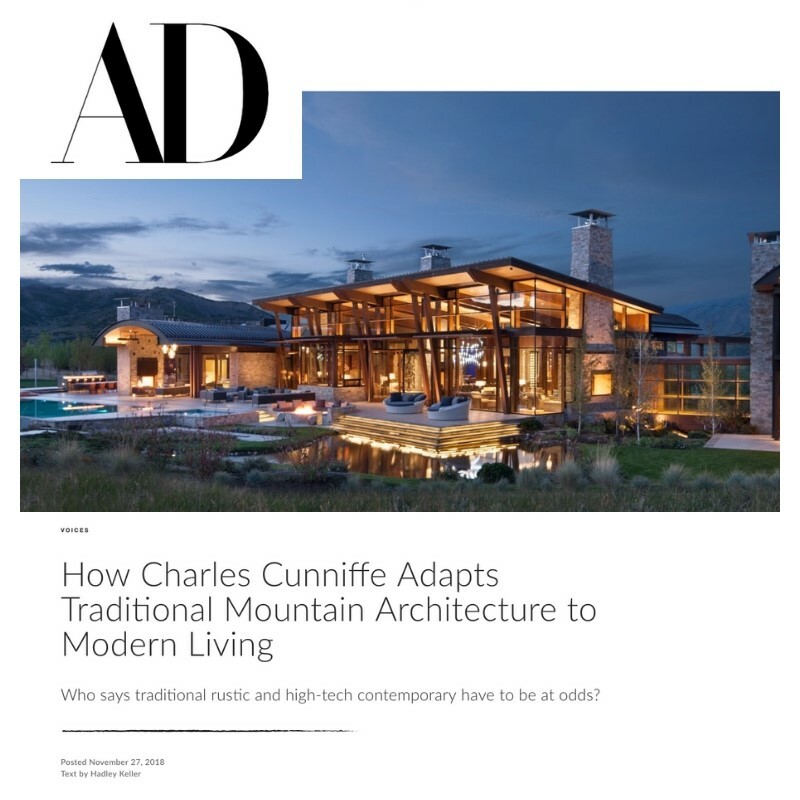 We are always honored to be featured in the press, so when Architectural Digest wanted to discuss the modern mountain home, Charles was thrilled to discuss the topic. To that, we’re so proud that AD selected to feature Elk Peak Ranch and Aspen Park – two projects recently completed by our team. Whether it be more open floor plans and maximizing views or incorporating sustainable and high tech gadgetry, we loved being a part of this in depth discussion with one of the leading architecture and design magazines. “Cunniffe’s ability to infuse his projects with such a consistent feel comes, no doubt, courtesy of his deep familiarity with the vernacular styles in the areas where he works” stated Architectural Digest writer Hadley Keller. This entry was posted in Featured, Industry News, Planning and tagged AD, ADPro, ArchDigest, Architect Aspen, Architect Colorado, Architect in Aspen, Architect in Colorado, Architectural Digest, architecture, Aspen architects, Aspen architecture firm, ccaaspen, Colorado high-end architecture, ElkPeakRanch, Interior design, Interior Design Aspen, Land Planning, Mountain Contemporary, Mountain Modern, Telluride architect. Bookmark the permalink.